I had also promised Emma a boot rack for our, well boot room, which like a torture chamber without an iron maiden, has remained rack-less for the last few years in anticipation. The much vaunted ‘planning’ was in evidence again as I was determined to reuse wood from the eco-makeover of the house and an assortment of screws etc. left behind by the builders. And with the greenhouse finally done there was no option but to finally get on with it. Fortunately friend Derek had ‘done a bit of woodwork’ at school. 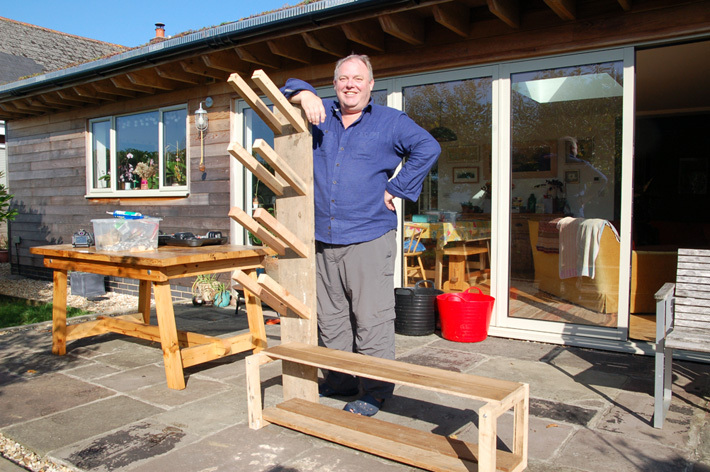 Fortunately technical helped arrived mid-construction in the form of our friend Derek, he of the cider movie, who unlike myself had actually done woodwork at school, so now maybe there is a chance it will still be standing in a few week’s time! The untidy boot pile before (left), and afterwards (middle) with added vertical boot stand (right). 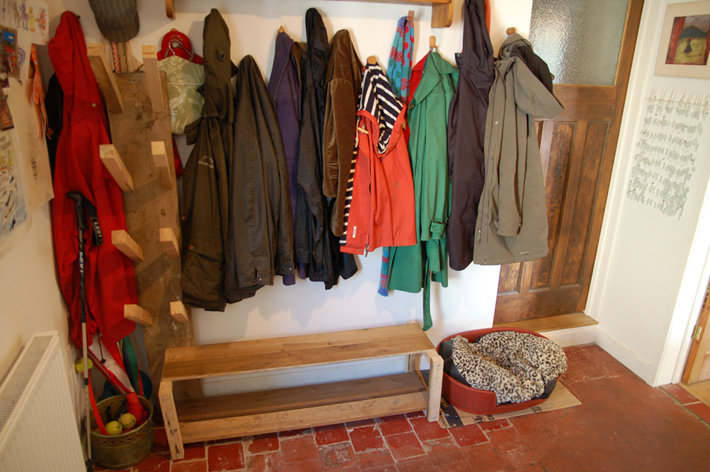 This entry was posted in House and tagged boot rack, build your own, cider making, diy, eco makeover, Emma Alesworth, Greenhouse, Paul Rainger, recycled, Smallholding, The Secret Acre, wood, woodwork by paulrainger. Bookmark the permalink.